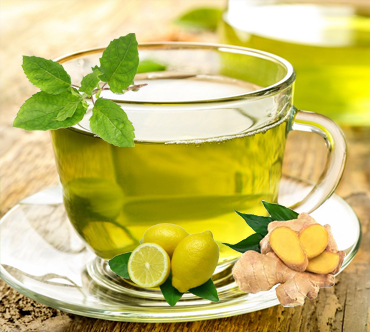 Tulsi, lemon & ginger green tea The delicious blend of ginger and lemon, complemented by Tulsi's spicy flavor and transformative energy is extremely beneficial for your body. It creates a strong digestive tonic, which cleanses your entire system. All the three ingredients have been known to be used throughout history to support and nurture the digestive system, liver, and the lymphatic system. This tea is antioxidant-rich, increases energy levels and balances the senses. It can be used as a gentle daily detoxifier besides acting as a promoter of metabolism, which is significant to weight management.